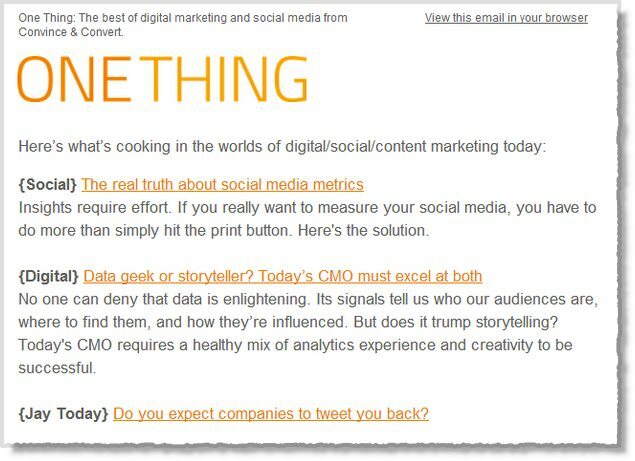 When social media turned up the art of email marketing took a back seat with many marketers. But with Facebook organic reach reducing, email has become the new cool kid in the class. It’s better to ask someone for their email instead of waiting for them to “like” you. Having a healthy email list and high open rates is now essential. If you focus on the high deliverability of your content, you can’t lose. But remember you have many things in your way. This includes “Google bots” with the nanny abilities of determining who goes where. They determine your email placement such as do you go into the “Promotion” Tab today or the “Primary” in people’s Gmail account? Which is the best place to be, you ask? The correct answer would be, Inbox. But what usually happens is that people get discouraged with their low open rates and then turn to social media. They don’t realize that Facebook is already knocking your views there too. You’re lucky if 10% of your fanpage even see your next post, that’s without a link by the way. Many people turned away from email marketing to social media hoping for that silver bullet of success. So let’s talk about social media for a minute. Some will argue that email is dead and that other avenues are better. They feel like email shouldn’t get as much attention as other things, like Social media. Social media fads have come and gone (like Myspace), but one thing has never changed, they (social media) will always be asking for your email to register. Isn’t it amazing? People will almost shoot you down about how Facebook trumps email marketing, and that email marketing is old school. Email can’t even touch the power of Facebook they say. Facebook is more hip and it’s where the money is at they say. I smile as I think about what it takes to even login into this powerful independent tool. Your email address. Don’t get me wrong, social media can be a great way to get the message out. It’s just a cheap way to let people know that you exist, but it’s not the best way for traffic or introduction of your company. People would rather see what junior had for lunch than to buy your eBook for $9.99 on Facebook. I’m not saying it’s impossible, but it’s better to use the tool for what it’s made for and that’s to connect and remind. So what can we do with your email list and to get more traffic? It’s quite simple, raise your open rates. Let’s do some math for a second. If you have an email list of 10,000 people and you send your email 4 times a month. What would happen if you increased your open rates by 10%. I’ll show you. Average open rate is 20%. So let’s use that. 20% of 10,000 on your list= 2,000 People open your email. 2,000 x 4 (times a month) = 8,000 People open your email in one month. Now let’s increase by 10% after you read this post. 30% of 10,000= 3,000 People open your email. 3,000 x 4 = 12,000 People open your email in one month. That’s 4,000 extra people saw your email this month. All because you took an extra 10 minutes to read this post. As for doing the work? You’ll be spending less time writing that email than what you was. Can this really happen? Yes, if you do everything in this post, you will see a difference in your open rates. I have written for many major bloggers like Pat Flynn, Problogger, Jay Baer, Social Fresh etc. and it’s amazing how soon Google likes to switch things up. You can still apply those things mentioned in those earlier post, but as Google gets smarter, so should we. Let’s break down each point. People are on the go, no? They don’t want to read an eBook form of an email. They want something quick and something helpful. If you feel like giving them an eBook, then email them a link to your eBook. There is a reason why email’s are being checked more and more on mobile devices. They’re moving around with a little time in between stops. America is on the move, but she doesn’t have time to read the eBook. And if you do send that eBook form of an email don’t do it 3-5 times a week! They want to feel accomplished, that they actually read the whole thing. Make them feel better about themselves. How does Gmail feel about long post? People have actually gotten away with this. Rami Sethi does it this way and it works for him. This isn’t penalized by Google usually. So it may arrive in the inbox at first for awhile, but if the person doesn’t seem to be opening them, Google will eventually scoot you along to the other tabs. Pat Flynn does great with his open rates based on our discussions we’ve had. Unless he does this one thing, and that’s add 3-5 links per email. Which this is somewhat of a new thing still for most. But it’s when his emails go bye-bye in my and your Gmail accounts. I don’t do anything, it’s all on Google. I want to receive these emails, but their “nanny” filters thinks it knows best. So too many links will hurt you. And yes, the unsubscribe link is being counted by Google. Strict I know. I’m not saying 3 links and you’re out, but I am saying you’re risking it. See! It’s in my promotional tab. Note: Am I dissing these people? No! This is what Google does with these emails that have for instance, too many links. This isn’t saying that your content level is low, it’s just not making it to the Inbox. All these emails here are ones I have subscribed to and they still hit my promotions tab. And yes, I have a Magic Jack! Break down your readers in the list they come in. Organize them based on the days they sign up. Say things like, “ Hey it’s been 2 weeks since you join the list and I’m so excited to tell you about……” You know, something like that. Include their name with name tricks provided by your email provider. Try to get as personal as you can with your audience. Also, write like you’re writing to one person. This keeps the connection burning. Be creative and divide your list up based on the say they signed up. Have a set day that you send out emails so people know when to expect you. 10am or 3pm seems to be a good times unless you know something otherwise. Times vary on your email list and industry, but be sensitive. Like Paypal, you’ve got to send something that your reader is looking for. Something that will either inspire them, make them money, save them money, save them time, save them pain etc. And it must happen in that email, not just the link they’re clicking. Everytime they see your name, they must feel that value is coming their way. So make that email a good one. It’s THE best way to get traffic, so you’ve got to make this one a good one. Sorry graphic designers. Studies have shown that emails do way better without the images. How do I know? Look at the below image. All of these guys have images in their inbox. Every single one. And it’s why they never reach my inbox. Unless you’d rather have a corporation feel over open rates, I would remove the header and logos. I know this one hurts. You may make better profit with the images in all your emails, but if you’re looking for higher open rates, it’s got to go. We all hate being sold, and definitely in our email. It’s pretty slimy feeling actually. It doesn’t work and it’s why Mailchimp has almost completely shut down affiliated marketing within their services. So my suggestion would be? To be helpful. Sale on your website and possibly Amazon, but not Mailchimp, Aweber, Constant Contact etc. You can do affiliate marketing within your email, but you will see your open rates go down eventually. 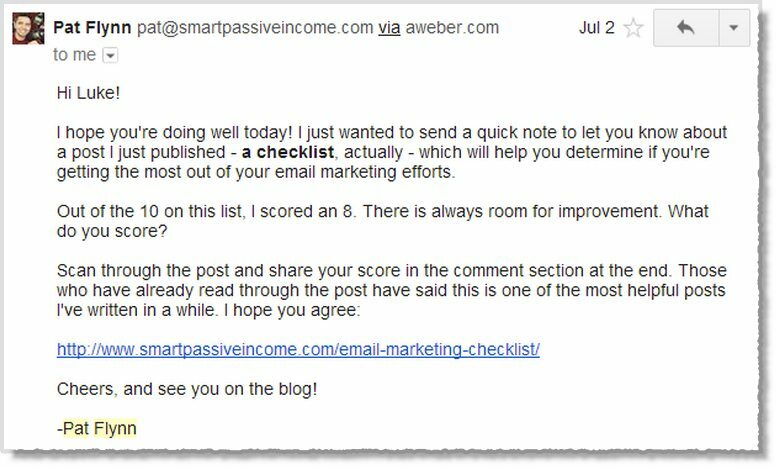 This is great for notifying your readers about your next blog post. I would suggest having one sign up box just for this. But if you’re looking for higher open rates, you’ve got to turn it off. Why? Gmail is directing your content to the trashcan. Well I say trashcan, it’s more like the Promotions tab or Social Tab. It’s a proven fact. Not only does Google see you as a nuisance, eventually people will quit clicking on you. People are looking for more connection these days than anything. But combine content with connection and bam! You have open rates soaring like the bald eagle. The only reason I wouldn’t simply go just plain text is because you must be able to track progress. The other reason would be for that 1 link you’re wanting to include. So it’s why HTML is still the best option. Jeff talks more about headlines here in his article 10 Awesome Headlines that Drive Traffic and Attract Readers. You can apply this to subject lines also. This is great, and as you practice, the better you’ll get. Last but not least, make sure to reply to your readers. Nothing is more important than this one thing. You complete that connection by responding. People want to know that you’re real. That you’re more than just about money. Make your replies #1 priority. And nothing is uglier than no-reply@yoursite.com. You’re emailing them, but they can’t email you? So this is a one-way street? Not a good message you’re giving here. So hopefully you will apply these today. Start reaping the benefits and make the list work for you. It’s the best way to send your message and to be seen. And that my friend is half the challenge, and it’s simply being heard in this noisy world. If you need further help with your email marketing feel free to join my list here! I write about email building because it’s the greatest way to reach out to customers and increase profits. I talk about other things, but my focus is email and how to make that email list sing! Getting your readers to interact. It’s what marketing is all about. About Author: Luke Guy blogs at Lukeguy.com. He researches email marketing and how to grow businesses doing it. He talks about other things but usually it involves emailing.